So President Donald Trump and U.S. Sen. Rand Paul – vicious opponents during the 2016 GOP presidential primary – went golfing together this weekend. 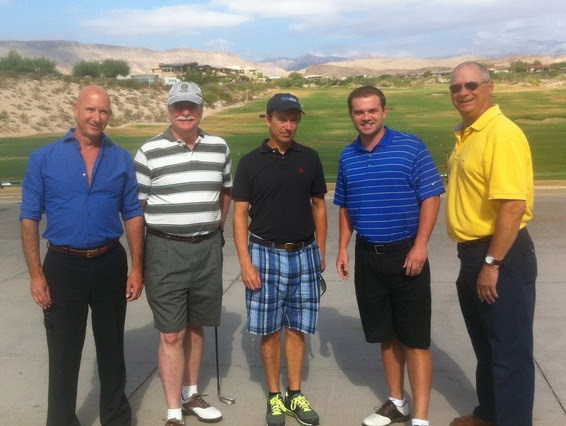 I went golfing with Sen. Paul a couple years ago when he was here in Las Vegas for FreedomFest. Let’s just say he ain’t no hacker! Anyway, that Trump and Paul were able to put their strong differences aside from last year and are now working together on how to best get rid of the disastrous ObamaCare program is a striking testament to Trump’s ability to strike deals – even with former adversaries. Bet you didn’t hear that perspective on CNN over the weekend. Repeal-and-replace isn’t dead, no matter how many times the #Fake News says it is. As they say, it ain’t over ‘til it’s over. P.S. Gonzaga will have two players from Vegas on the court tonight for the big NCAA basketball championship game vs. North Carolina. Go Zags!